With the holidays approaching and droves of upgraders switching to the Apple Watch Series 4, we are in peak band-buying season. AppleInsider has colelcted dozens of bands to pick out our favorites. 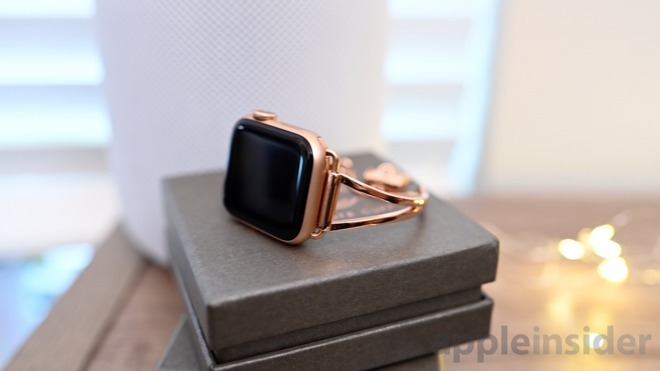 The third-party Apple Watch marketplace can be tricky to traverse. Many a band can look good in a promo pic, but not holding up when it's on your wrist. We took the plunge, exploring two dozen Apple Watch bands of all varieties to find our favorites. We explore sports bands, metal bands, and leather bands to hopefully find something for everyone. Nomad's offerings of Apple Watch bands span the gamut from sporty to rugged, from stylish, to designer. We looked at several of their options for this roundup. 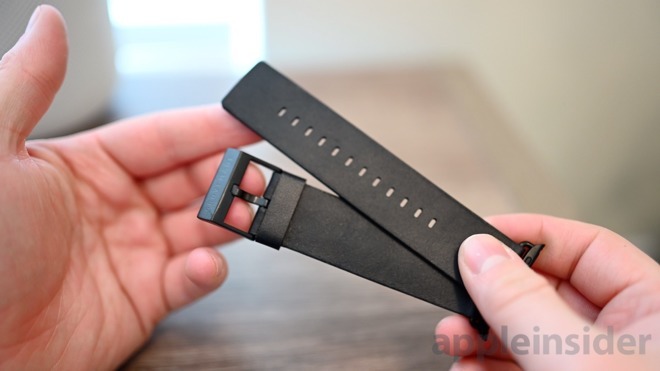 Most popular of the lot, is the modern leather band —which we reviewed in the past. They have a simple design, clean edges, and oversized lugs. The oversized lugs are some of our favorite, as they've been custom designed to be unlike any others we've seen. They also match the curvature of the watch, giving it a slightly larger appearance. Seeing as oversized watches are popular at the moment, we dig them. Going to the most lux band in Nomad's offering is the limited edition Shell Cordovan watch band. Made from genuine Shell Cordovan leather, it is hand-glazed to give the exterior a bold, glossy look. On the underside is a unique pattern different with each watch. Because of the special process required to create these bands, it takes six months to prepare. Lastly, are two sport bands. There is the Rugged Strap which is a silicone band with the custom metal lugs and buckle. For an all-silicone option, the Sport Strap is your best bet. 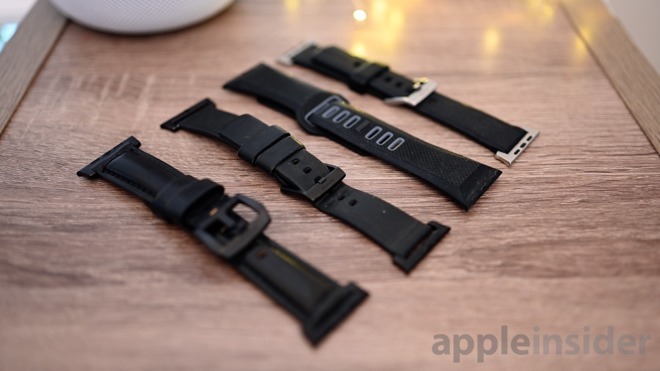 It is a wider band than Apple's, but utilizes a similar method of keeping the strap in place. Nomad's bands come in at a variety of price points from $39.95 to $149.95 and are available on their website. 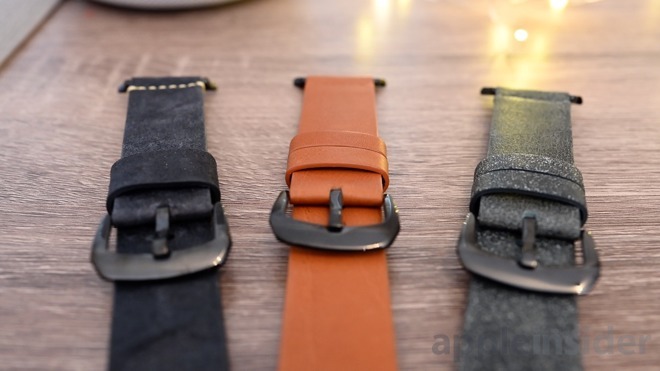 We've also previously spent time reviewing Alto's Italian leather Apple Watch bands and they've been a reader favorite ever since. They come in several hues of full-grain leather, with our top choice being Caramel. It is a slightly orange hue of brown that we don't usually see. Alto uses a custom oversized buckle for securing the watch, which gives it a slightly masculine look. They can be picked up currently through Alto's website for $99. 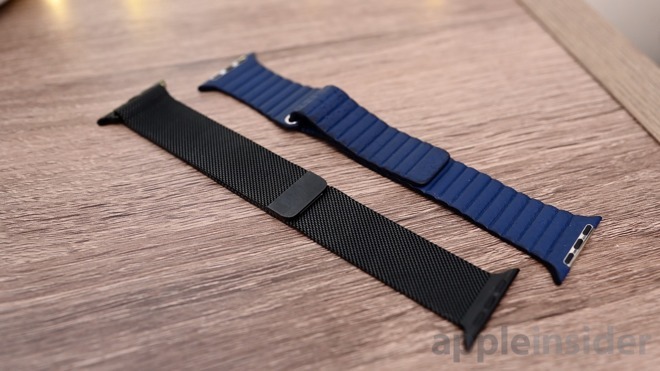 Not the most expensive Apple Watch band we've seen, though it is on the high side. Good thing the quality of materials and craftsmanship largely make up for that. 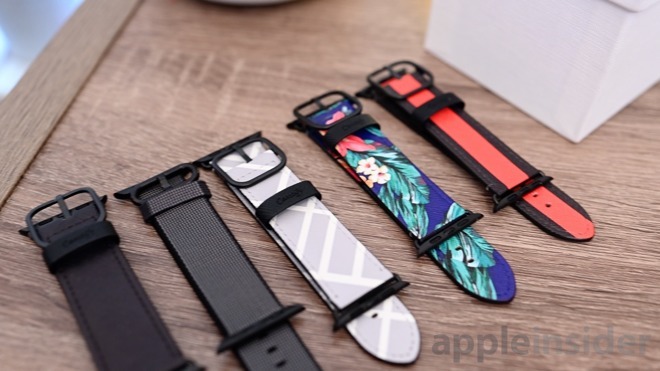 There are a dozen different styles of Apple Watch bands from Clockwork Synergy, all great quality with reasonable prices. We are partial to leather bands as they are appropriate in professional or casual situations. In the roundup we showed off three members of the "dapper" collection —the Brown Bomber, Saddle Brown Aged Leather, and Black Suede. All three look and feel great, with lugs that are easy to swap out. This is perfect if you ever switch watch colors when upgrading. That way you can keep using the same bands by just replacing the lugs. Clockwork Synergy's bands have a range of prices, and the three we looked at were between $34.95 and $44.95 depending on the model. Arrow & Board get props right out of the gate for our favorite packaging. Each band comes in a logoed canvas bag within a metal tin. Affixed to the top of each tin is a magnet emblazoned with Arrow & Board's logo. It is hard to decide which we like better between the Simple band and the Porter band. Both look equally good, with the Porter adding some additional detail work such as stitching down the sides. The level of detail on these bands is amazing, with so many little touches. Each edge of the bands is seemingly seared off giving them a dark color. Other etchings such as the bundle of arrows on the strap loop set them apart from other bands. A triple tour band is also available from Arrow & Board, though we didn't check it out. You can grab any of the three bands from Arrow & Board's website for either $59 or $79. We received a lot of great feedback regarding the Pad & Quill cases included in our iPhone case roundup, and we expect similar reactions here. While many different options are available, we've been steadfast fans of the Lowry Leather Cuff. 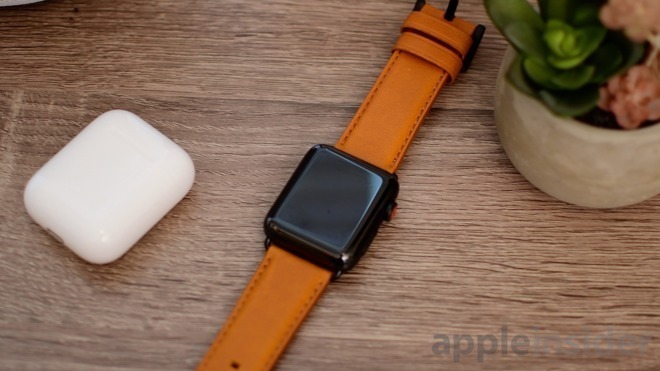 It is a two-part design that gives the Apple Watch a distinct rugged appearance. It does make charging on some docks a bit difficult, but for us the tradeoff is worth it. We prefer the Chestnut Brown color, but American Tan and Galloping Black are there as well. 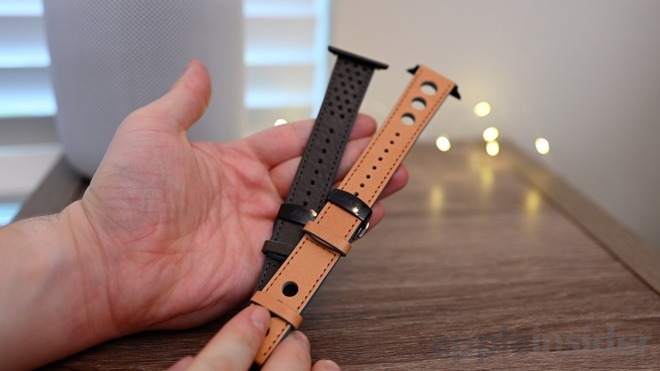 The Lowry Leather Cuff Apple Watch band is available from Pad & Quill's website for $129. Check their other bands out as well. Both NATO style nylon bands and upcycled leather bands fall into Southern Straps wheelhouse. They each have custom metal hardware that is thin and minimal with a logo on the clasp. The leather bands have a slightly glossy exterior with small bits of threadwork holding the hardware in place. NATO style bands are high on our list for their versatility. They dry rapidly, making them an ideal workout companion, but have a slightly more durable and presentable appearance that some cheaper workout-centric alternatives. Southern Straps are available both from their site, as well as on Amazon from $35-$79. If you're looking for a more designer or classy band, then The Ultimate Cuff could be the answer. All of these bands look more like jewelry than they do Apple Watch bands and pair well with the glossy stainless steel models. We checked out the Mia and the Addison which each have a metal cuff and is held in place by a chain. Neither are really suitable for the gym, but look great at work or out on the town. Each of the several cuff styles can be found on The Ultimate Cuff website, running around $74 each. The printed saffiano leather bands from Casetify are both water and scratch resistant, making them one of the few suitable for both time at the gym or at work. They have near 300 different patterns printed on these leather bands, so it wasn't possible to go hands on with them all, but we did pick a few of our favorites. While the leather ones were nice, we really were fans of the link band. These stainless steel bands don't have all the perks of Apple's own such as the simple press-to-release links —but they come close in style. There are very few quality metal bands available other than Apple's, and Casetify has one of them. Casetify's printed leather bands will run you $52 while the metal is a hefty $120. Juuk is usually known for their stylish metal bands, but with Apple's new redesign on the Series 4, they needed a bit more time to rework the custom lugs. That's why we are going to focus primarily on their top notch leather bands —the Monza and Viteza styles. These bands, many with holes through them look stylish and are well built. A custom butterfly mechanism makes them easy to take on and off, not something we usually see with leather bands. 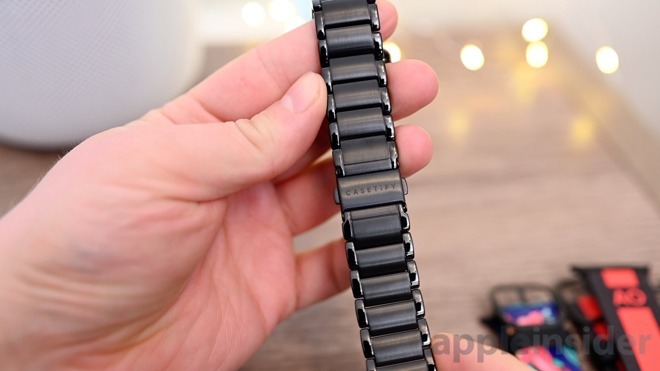 The Viteza band has many small holes —coming off a bit more subtle —where the Monza bands have fewer, but larger holes. All have their own accent colors for the sides and cutouts to match your look. The Sand Monza leather band in blue is available on Amazon for $89.99. Many more are available directly from Juuk. You can't exactly do an Apple Watch band roundup and not include the host company itself. Everyone is probably familiar with Apple's band lineup, so we just wanted to touch on our two favorite styles. We really like the Space Black Milanese loop and the Leather loop. We've searched up and down for third-party options of these and have always come up empty. Knock-off black ones are either too light and made out of aluminum, or the black coloring comes off in less than a day. The cheaper leather loops have similar issues using low-quality leather, are lighter in weight, have weaker magnets, and feel worse over time. 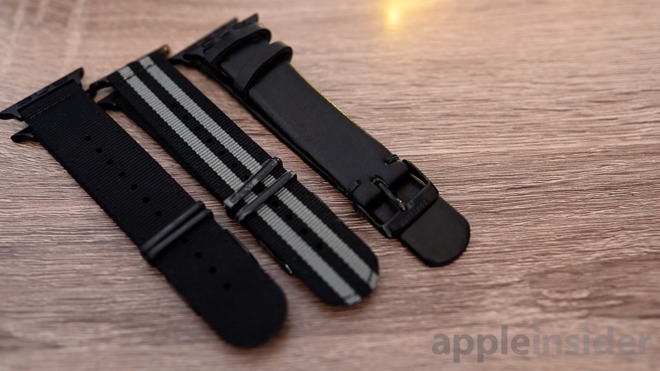 Neither of these two bands are inexpensive, but they've been with us for years and have help up admirably and are still go-to options in our Apple Watch band inventory. 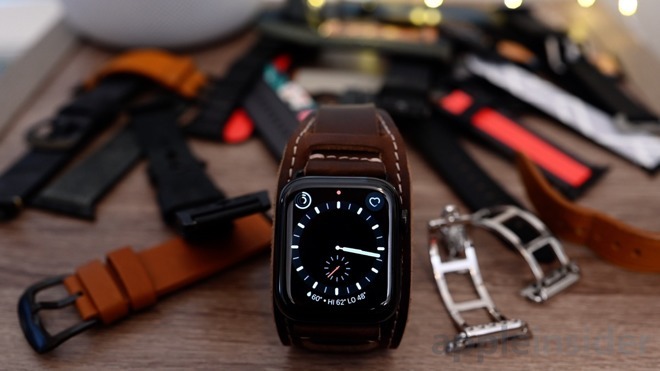 Best Buy has both bands, with the Milanese running around $149 depending on color, and the leather loop at a similar price. Last on our list, is Grovemade. Maker of fine Apple and desk accessories from natural materials, their bands are minimalism at its best. Both tan and black are available, with custom sharp-cornered buckles. They are very simple and look great the more you wear them. Pick up either the tan or black bands with silver or black hardware from Grovemade's website for $79.